Speaking to the Guardian, The UK’s Information Commissioner’s Office (ICO) said it has seen a rise in breach notifications from organisations, as well as more data protection complaints following the activation of the law. 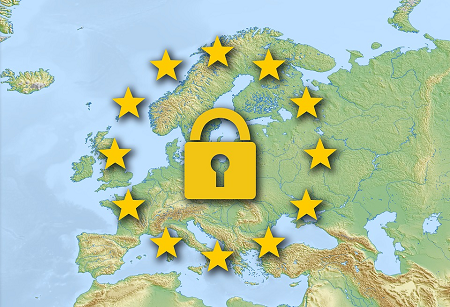 Meanwhile, the French data protection regulator, CNIL, reported a 50% increase in the number of complaints since the legislation came into effect on 25 May, compared with the same period last year, according to Politico Europe. A further 29 cases are under investigation at the European level, the site reports. Across Europe, the regulation has also sparked greater transparency from firms that have suffered a data breach, with notifications spiking over the same period. GDPR increases maximum fines for malpractice to €20m (£17.6m) or 4% of a company’s global turnover – whichever is higher – and companies are more likely to face higher fines if they delay reporting breaches. The bulk of the response to the legislation has been a substantial number of complaints against high-profile companies, such as those against Facebook and Google filed by privacy campaigners at the consumer rights organisation Noyb. Ian Woolley, Chief Revenue Officer at Ensighten, commented on the findings: “It’s not surprising that the first month of GDPR has seen a sharp increase in the number of complaints to regulators across Europe, with the ICO revealing a sharp rise in breach notifications and data protection complaints – there’s clearly a strong public interest in the new rules. “Even before GDPR was officially enforced, businesses and individuals expressed a lack of confidence, with our recent research showing that nearly half (45%) of UK businesses expected to be fined for GDPR non-compliance, and even put money aside in preparation.